Sylvia has re-recorded her mega-hit "Nobody" with a fresh and timeless production that also honors the original. "Nobody" is the first single released to radio from her brand new CD, "SECOND BLOOM — The Hits Re-Imagined." Sylvia breathes new life into 10 of her biggest hits including, Drifter, Snapshot, Tumbleweed, Like Nothing Ever Happened, Fallin’ In Love, Cry Just A Little Bit, I Love You By Heart, and Sweet Yesterday. 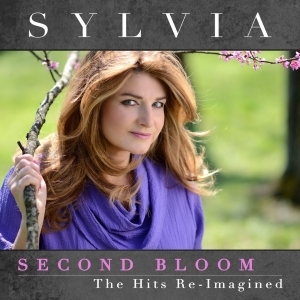 She also includes, You Can’t Go Back Home which is a Sylvia favorite from her 1982 "Just Sylvia" album and serves as a metaphor for her approach to re-recording her hits.